Ghostbusters is one of the most beloved movies of the 1980s, and still has a huge, loyal fan-base over 30 years later. The flick’s combination of perfect performances, great characters, witty dialogue, exciting action sequences, unforgettable theme song, and top-notch special effects (which still look impressive today) made enough of an impact to launch a huge franchise. Since 1984, we’ve had two more movies, two animated series, multiple runs of comic-books, action figures aplenty, and, of course, video games. 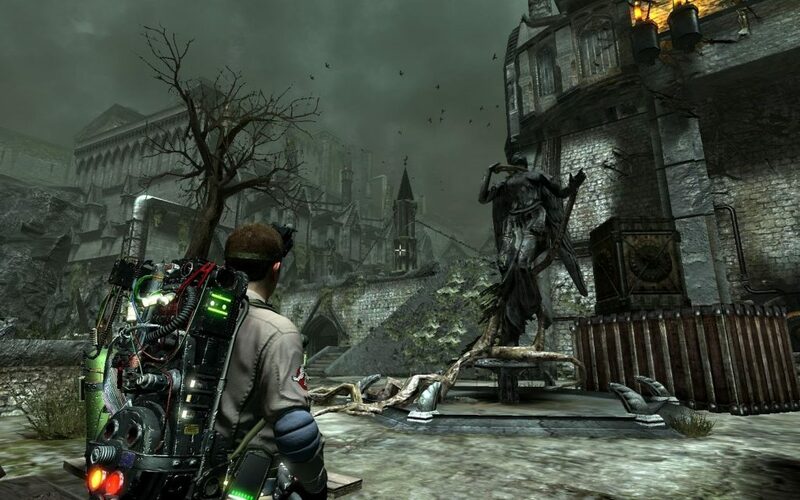 While the Ghostbusters games have varied in quality over the years, most fans would agree that the best, truest adaptation is 2009’s Ghostbusters: The Video Game. This had a long, difficult road to release, but the Xbox 360, PS3, and PC versions delivered an incredible experience that many regard as a worthy continuation of the two original movies. The key attraction of the game – beyond being the first Ghostbusters tie-in in years – was the cast. Bill Murray, Ernie Hudson, Dan Aykroyd, Harold Ramis, Annie Potts, and William Atherton all returned, helping to ensure the game feels truly part of the movies’ universe (though it’s a shame Sigourney Weaver’s Dana Barrett is nowhere to be seen). 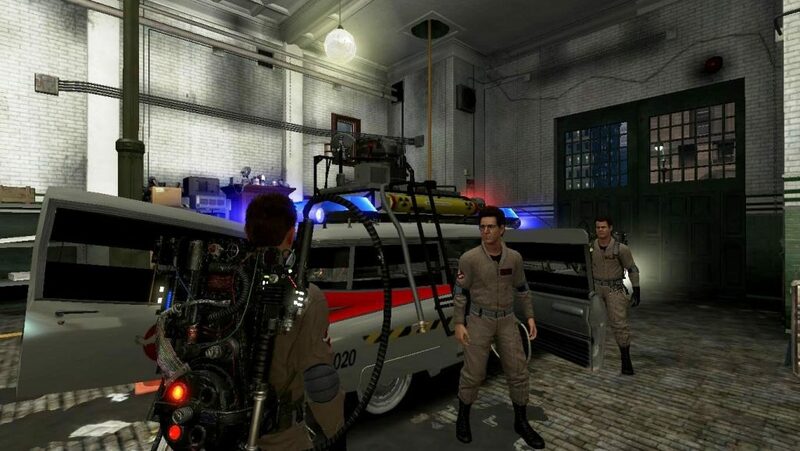 While you could play as the main characters in the online multiplayer stages, Ghostbusters: The Video Game’s campaign mode casts you as a silent, characterless rookie instead. It’s fair to say there might have been some disappointment when this was first revealed – with such great characters ready-made for the game, why would you want to play as anyone else? However, this was definitely the right decision: by playing as a new recruit, you still get to be part of the team and interact with the characters, but can sit back and watch them behave how they should. Meanwhile, the rookie’s silence prevents him interfering with the heroes’ dialogue or personalities, basically letting you into the team without disrupting the dynamics we know and love from the movies. This makes it easier to feel as if you’re playing as YOU, too. On the topic of the actors, it has to be said that their likenesses are captured to a remarkable degree – even now, it’s thrilling to just stand and look at your fellow ‘busters when on-screen together. For fans, it’s a dream come true to take part in such beloved characters’ exploits, especially when they look and sound exactly as they should. However, as amazing as all that is, the dialogue does sometimes let the experience down a tad. Murray’s Peter Venkman just isn’t as funny as he was in the films, which is a shame, though the rest of the characters are spot-on. Beyond the likenesses’ accuracy, the visuals overall are still stunning, demonstrating a terrific attention to detail throughout every environment. The fire house looks and feels perfect, and exploring it only gets better as you progress and find haunted artefacts which become part of the décor. Being able to slide down the pole, chat to Vigo the Carpathian (still trapped in his painting, despite being destroyed at the end of Ghostbusters II), and listen to messages on the team’s answer machine steep you in the characters’ everyday lives. Having Janine answering calls and keeping the business afloat is another terrific touch, and let’s face it, the game wouldn’t be the same without her. Terminal Reality were extremely smart in the way they constructed the plot, too – though it’s an entirely new story, it allows them to revisit locations and recreate scenes in the context of a fresh narrative. 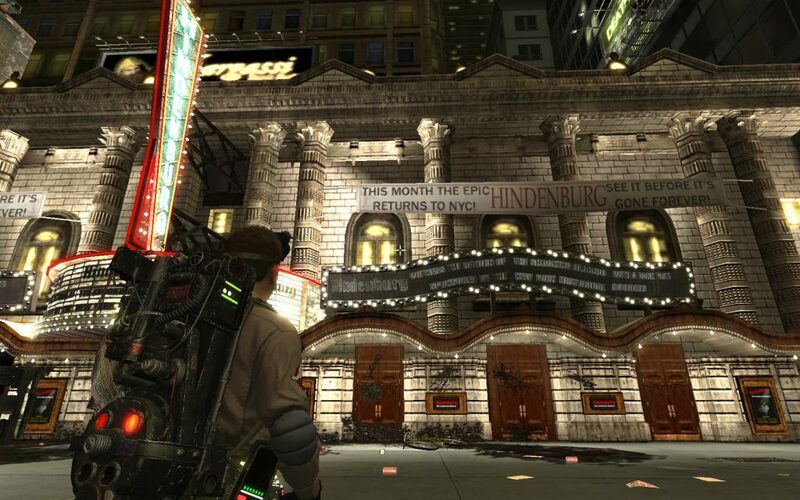 Going back to the Sedgewick Hotel – where the guys first encountered Slimer, and do so again here – is an awesome way to start the game, and running through its familiar corridors is the stuff fans’ dreams are made of. Other genius touches include returning to the library to meet the iconic ghost from the first film’s opening, and facing Stay Puft on the streets of Manhattan (where he absolutely towers over you), before confronting him in spectacular fashion: hanging off the top of a tall building, dodging his marshmallow-based attacks while blasting away. We get new ghosts, new monstrous entities, and more to combat, but the game gives you the most memorable moments of the films again to essentially create the ultimate love letter to the first two films. Even having the Tobin’s Spirit Guide as an in-game index of ghosts you’ve encountered helps to immerse you in the Ghostbusters universe; it’s a small touch, but it shows Terminal Reality knew their stuff. 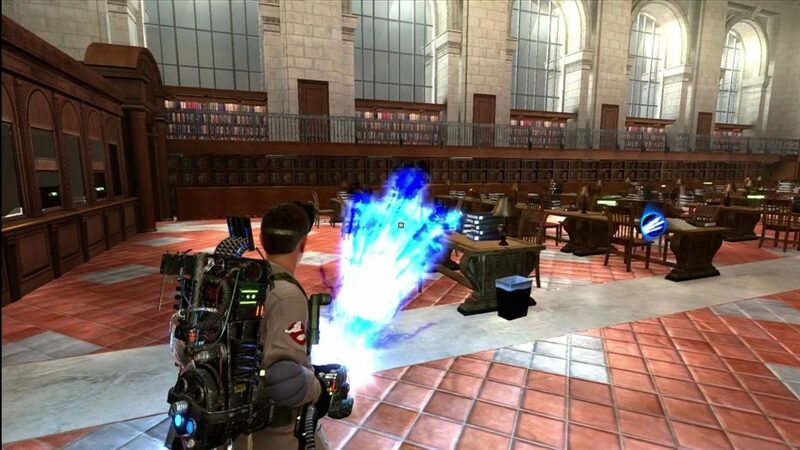 Ghostbusters: The Video Game makes the actual busting of ghosts a challenging, fun process that becomes more diverse as you unlock new equipment and encounter new enemies. From the moment you run down into the HQ’s basement to practice with Ray, you can see just how well the action has been translated into an interactive format. The Proton Packs are a real treat to use: they look just gorgeous sitting on the rookie’s back, with twinkling lights and functioning parts, while the streams themselves never get boring to play with – no matter how many times you whip them out. The streams’ flickering movements, multicoloured glow, and crackling sounds are still as satisfying as ever. This is most effective when you find yourself in a darkened room or out on a New York street after the sun sets, with the streams’ brilliance and dynamism illuminating the surrounding space beautifully. The Proton Streams and the Slime Blower are easily the most fun of the four types of weaponry you end up with throughout the game, and really make you feel like part of the team. The PKE meter and Paragoggles take this further, helping you to detect ghosts and hidden artefacts, and while they’re perhaps not as exciting as the Proton Packs, they’re critical elements of being a Ghostbuster. Trapping spooks is a common part of the game, and it’s put together to great effect. You start off blasting the spectre with your Proton Stream until its health (or resistance) runs down enough to stun it, and then try to wrangle it into your trap. It sounds simple, and it can be, but when you have numerous enemies attacking you and the target starts fighting against the stream, then it’s more of a challenge. Having multiple weapons to use against different types of enemies was a smart move, and avoids making the action as repetitive as it might have been had the Proton Streams been the only option available. Ghostbusters: The Video Game is easily one of the best licensed video games (though, admittedly, the list of great ones is pretty small), and it still plays brilliantly now. Terminal Reality’s ‘realistic’ version is the strongest of the three different ones by a million miles; the PS2, Wii, and PSP game was less impressive, especially in terms of its detail and graphics, while the DS game had something the Terminal Reality version doesn’t – playable Ecto-1 sequences. Still, how would having access to Ecto-1 work in the ‘realistic’ game? Many of the levels take place indoors, while escorting the vehicle through Manhattan’s streets early on still gives you a chance to admire it and see it in action. Getting to drive it would have no doubt been fun, but it wasn’t a practical addition, and Terminal Reality were smart to focus on the core gameplay rather than risking spreading themselves too thin. It’s a shame that we haven’t seen a follow-up to this game, with the same gameplay style and the original cast. Rumours of a sequel set in another city, with an all-new team, didn’t pan out, and the tie-in to the 2016 Ghostbusters movie didn’t come close to the 2009 gem. Even a game applying the same mechanics, gameplay, and reverence to The Real Ghostbusters would be worth trying! Still, even if we don’t get another game quite like Ghostbusters: The Video Game again, fans of the franchise can at least be thankful we got this one. It may not have satisfied absolutely everyone, but this is still deserving of your time today – especially if you’ve never actually played it. 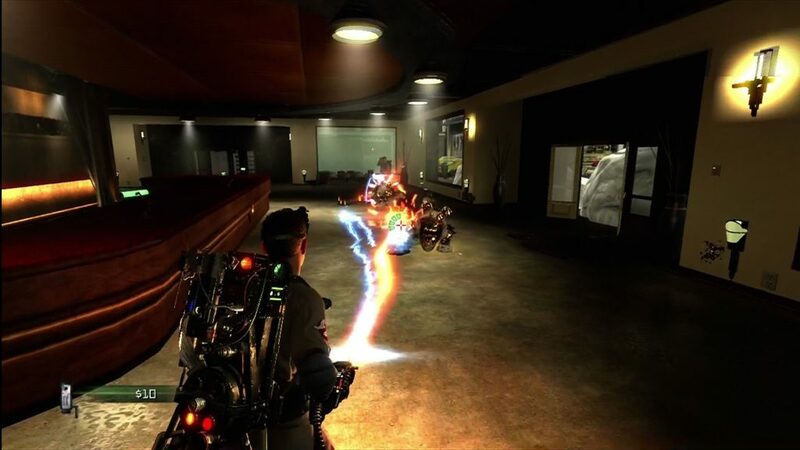 We look back at 2009’s Ghostbusters: The Video Game, and explore what makes it such an impressive tie-in. What do you think of the game, and would you be up for another like it? Let us know!